With FSC approved weatherproofed split YD ash handles. Extra long sockets and double rivets for added strength. 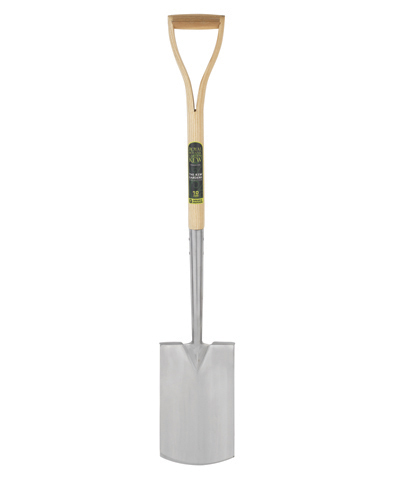 Mirror polished heads slip easily through the soil. Resists rust and are easy to clean. 41" overall, Head 11" x 7"